Explanation: The rare transit of Venus across the face of the Sun in 2004 was one of the better-photographed events in sky history. Both scientific and artistic images flooded in from the areas that could see the transit: Europe and much of Asia, Africa, and North America. 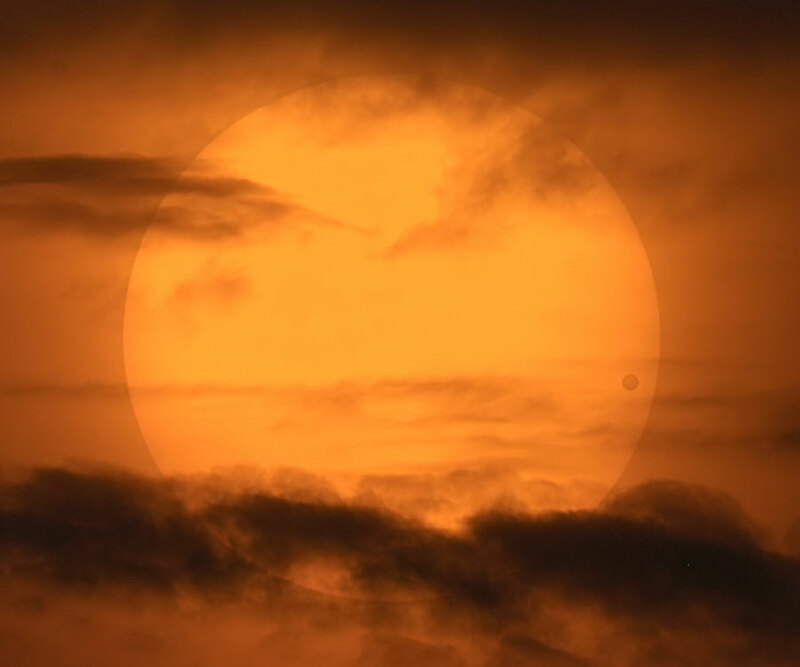 Scientifically, solar photographers confirmed that the black drop effect is really better related to the viewing clarity of the camera or telescope than the atmosphere of Venus. Artistically, images might be divided into several categories. One type captures the transit in front of a highly detailed Sun. Another category captures a double coincidence such as both Venus and an airplane simultaneously silhouetted, or Venus and the International Space Station in low Earth orbit. A third image type involves a fortuitous arrangement of interesting looking clouds, as shown by example in the above image taken from North Carolina, USA. 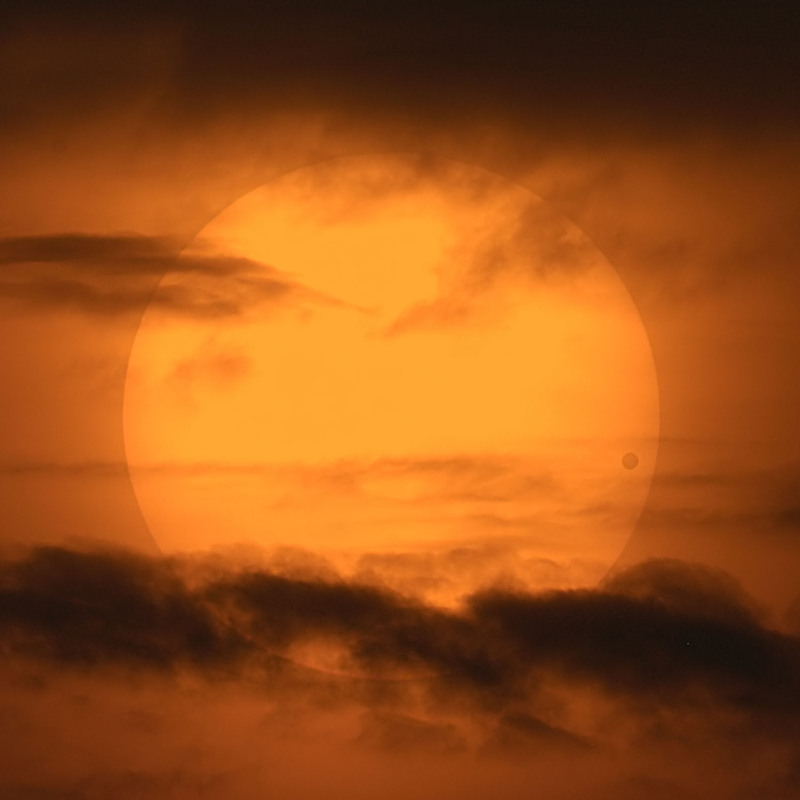 The next transit of Venus across the Sun will be in 2012 June.